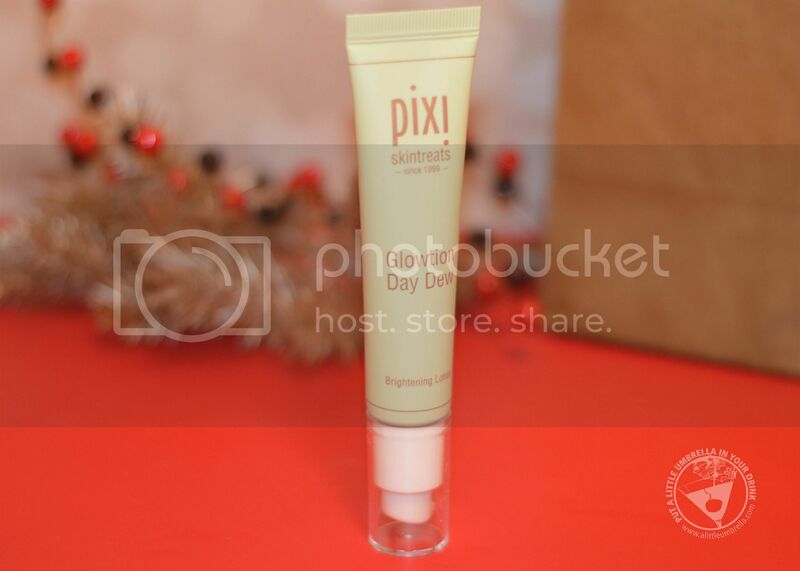 Pixi Beauty has become one of my favorite beauty brands. 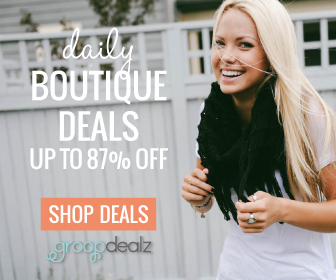 I have a few picks to help you give the gift of beauty to someone on your list. 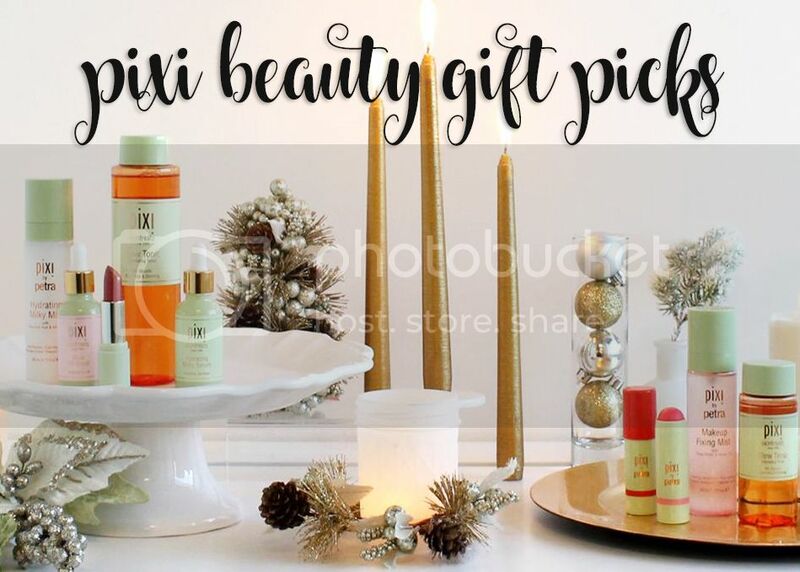 These gift picks from Pixi Beauty will keep on giving the whole year! 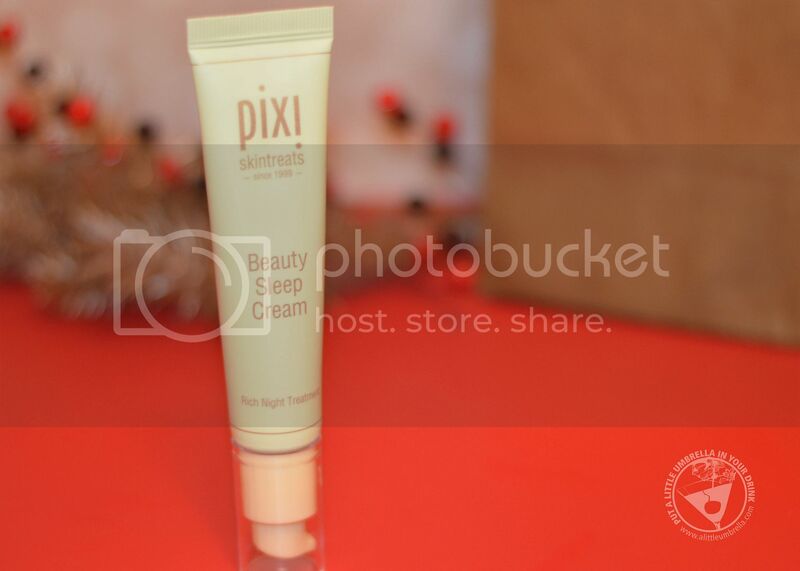 Remember, you can also find Pixi Beauty products at your local Target! Palette Rosette is an all-in-one color kit that contains the most gorgeous shades of rose, crème, and taupe for the prettiest Pixi face! Super silky powders shape & enhance cheeks, give eyes a soft-focus glow, and fill in brows for a flawless look.Use these 8 eye shades, 3 brow shades, and 3 all over glow powders to turn some heads this holiday season. 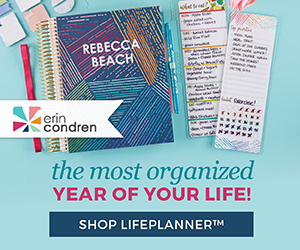 This is so perfect for travel because it has everything you need! Use a fluffy brush to dust one of the eyelid hues (3) onto lid. 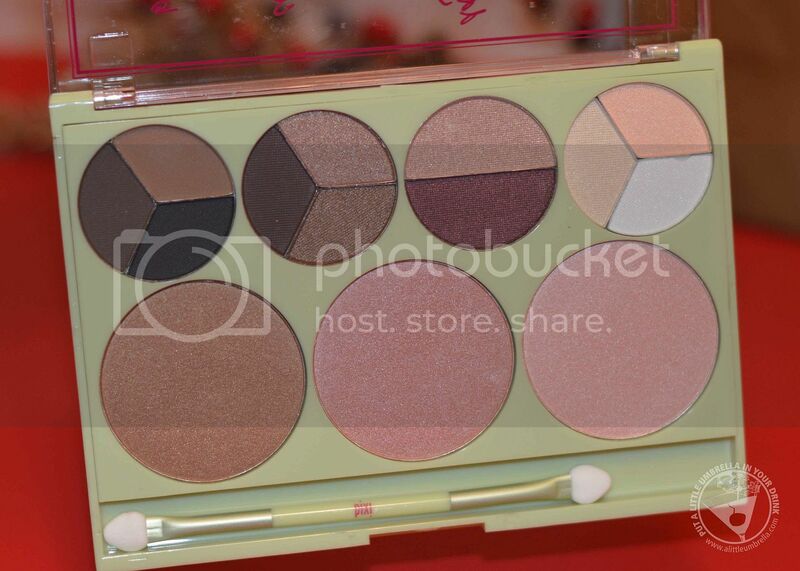 Take one of the crease shadows (2) and add to the crease, outer corner, and lower lash line. Use a liner brush to trace upper lash line with one of the eye liners (1) shades. Finish off eyes by applying one of the highlights (4) hues to inner corner of eye and onto brow bone. Buff the bronzer (5) onto areas of the face where the sun naturally hits - cheekbones, forehead, nose and chin. Apply the blush (6) onto apples of cheeks, and finish off with the highlighter (7) on tops of cheekbones and on the bow of the lips. How stunning is that hightlighter?! 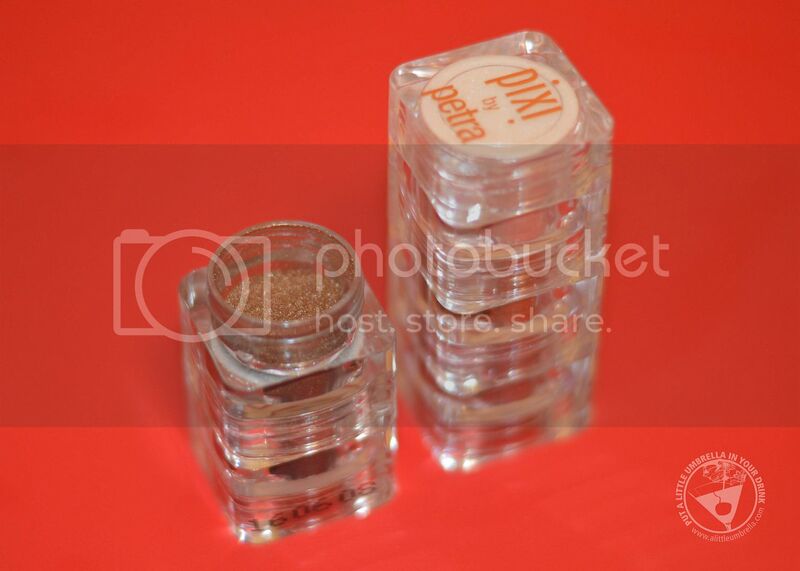 Fairy Dust Favorites are multipurpose loose eyeshadow pigments to create an ultra-enhanced effect. These metallic effect powders come in neutral, suit-all shades that create a shimmery finish. Use to shade and shape eyes, enhancing for the most flattering look. Buff onto skin for an ethereal, soft focus effect. 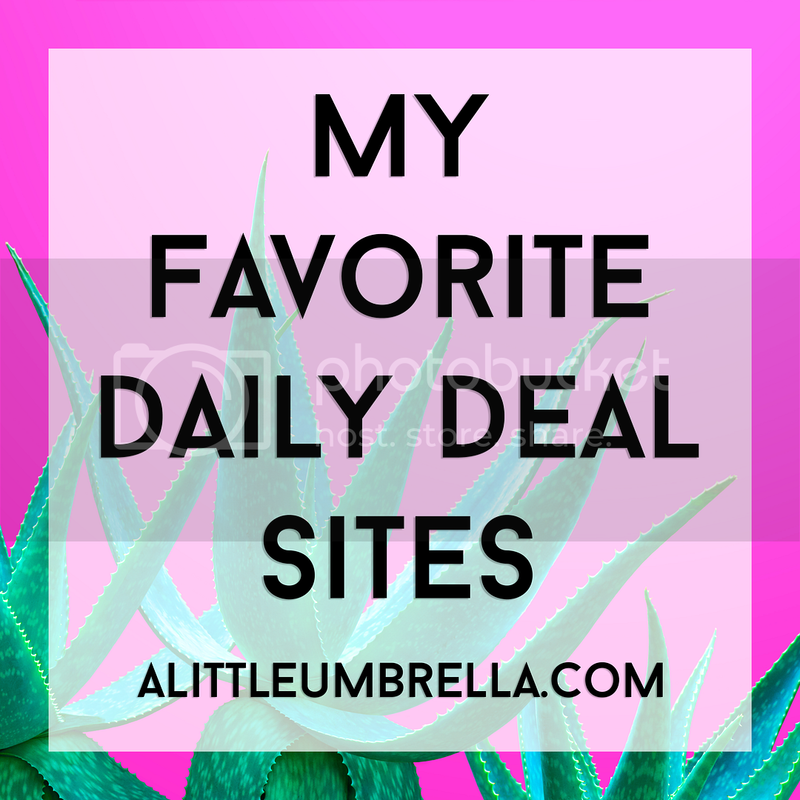 Get all 12 of the Fairy Dust Favourites for $12! To use, spritz your eyeshadow or eyeliner brush with Makeup Fixing Mist & dip it into the pigment. Apply for an intense effect that stays put! These will definitely be used for a holiday party look! The Endless Silky Eye Pen in OpalOvercoat glides on like seamless silk, and in a single sweep motion create a flawless, solid shimmery line. I love the waterproof, no-smudge, and no-budge formula. No retouching required all day - or night! I plan on using this on my waterline for a holiday party look. Apply from inner corner of eye to outer corner in one single sweep motion. Add thickness where desired. If a more subtle look is desired, blend immediately after applying as formula dries to a budge-proof finish. 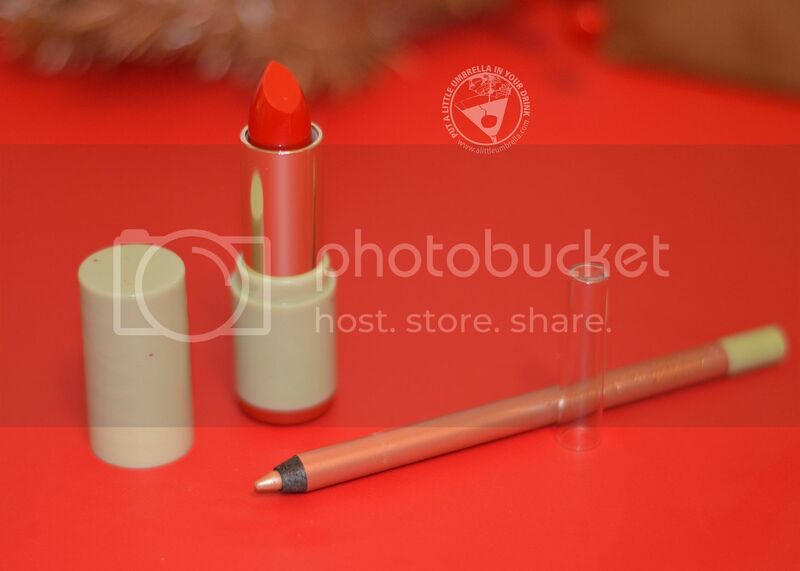 The perfect Classic Red, this Mattelustre Lipstick is full-coverage, long lasting, and vivid. The ultimate in multi-tasking lip enhancement, this demi-matte lipstick conditions, plumps and protects lips while giving long lasting, intense color. Added peptides, hyaluronic acid, and vitamins C & E help to create fuller, smoother looking lips. 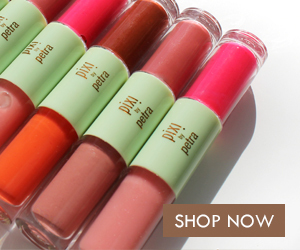 Smooth onto lips straight from tube, or use a lip brush for more precise application. Onto skincare, Beauty Sleep Cream is a nourishing night treatment to comfort and soothe the skin. This bedside essential contains relaxing lavender that will whisk you off to dreamland. It helps to protect, nourish, and hydrate skin while you sleep. With 100% natural mango butter, plus oils of lavender, lemon & bergamot, this cream calms and balances skintone. Apply a thin layer to cleansed, toned skin. Everyone can use this one! The 24k Eye Elixir is an anti-fatigue peptide serum that that massages away puffiness as it smooths and refreshes the eye area. This multitasker is infused with powerful age-defying ingredients to refresh eyes & prevent signs of fatigue. Collagen helps to repair the delicate eye area, peptides plump fine lines, and raspberry tones skin. The cooling rollerball applicator soothes & encourages circulation around the eye. 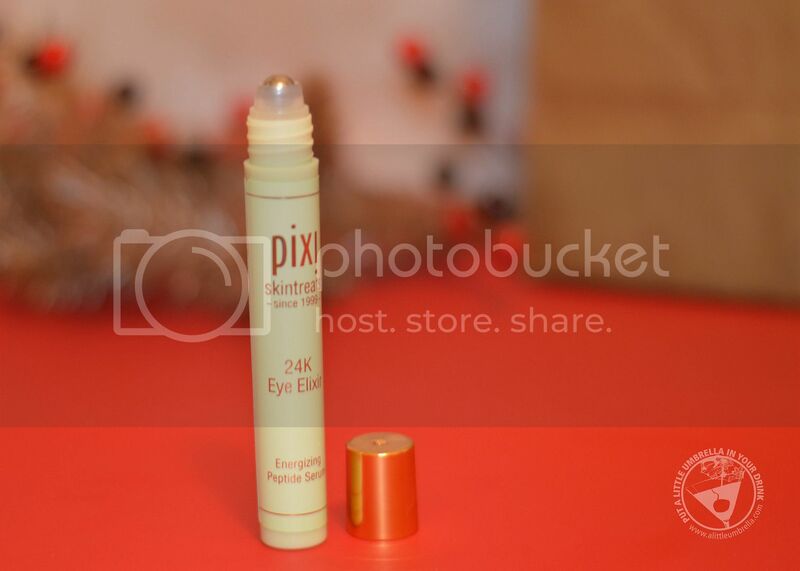 Gently roll applicator under eye, from inner to outer corner, 2 to 3 times. For extra de-puffing, chill before use. It feels amazing in the morning! Glowtion Day Dew is a lightweight, radiance-boosting moisturizer that soothes while blurring imperfections & giving a lit-from-within glow. The advanced illuminating skin-perfector nourishes & soothes while giving a boost to dull skin. Featherlight and hydrating, this moisturizer imparts a natural-looking radiance to skintone, making it look healthier & more even. Lavender oil calms, kaolin purifies, and mica brightens. Apply a thin layer to cleansed, toned skin. Dab an extra layer anywhere more glow is desired. This is a must-have for those holiday parties! You could also use Glow Mist for a radiant, dewy effect. It gives you a glowing, luminous & smooth complexion. Glow Mist is enriched with 13 natural oils plus propolis, aloe vera and fruit extracts. Use it before makeup to hydrate, protect, and nourish. Use it after makeup to set, add a dewy finish, and protect skin. Or use it anytime to refresh makeup, hydrate, and add glow. It’s like a breath of fresh moisture for your skin with 13 essential oils! Just keep it with you at all times and spritz when necessary! 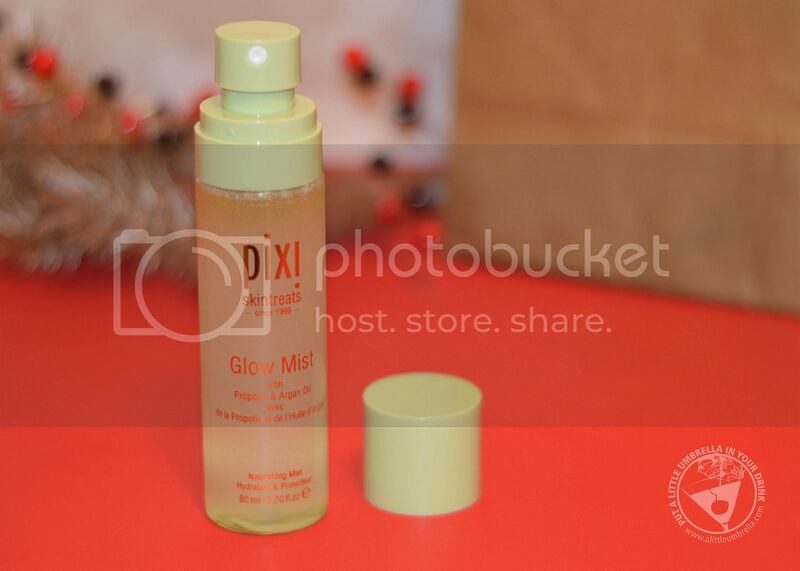 Whichever Pixi Beauty gift picks you choose will achieve that infamous lit-from-within Pixi glow! Your gift recipient will be celebrating (and glowing) all year! 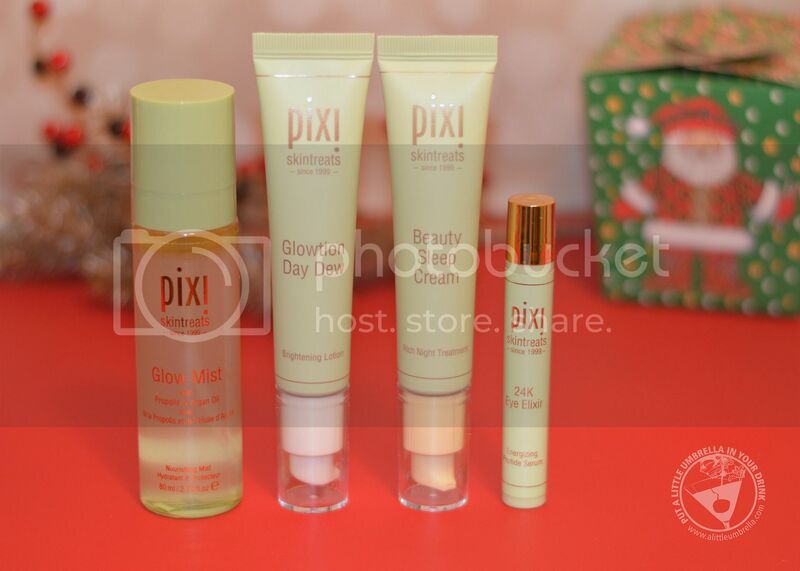 Buy It :: You can purchase these glowing gift picks via pixibeauty.com or at a Target store near you!